A lease is a contractual agreement between the freeholder and leaseholder, allowing the leaseholder use over the property demised within the lease. Alongside this written lease agreement a Land Registry compliant lease plan is required which shows the demise to which the lease refers. The lease plan will typically show any demised areas edged in red and communal in blue, along with any rights of way, however the specific colouring can depend on the wording of the lease and we will to work to any requirements. 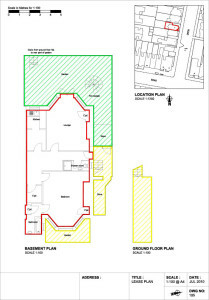 To be Land Registry compliant the lease plan must have a location plan at 1:1250 to identify the specific property, internal plans at an approved metric scale, a north point and scale bar. The internal plans must be easily located within the overall footprint of the building. 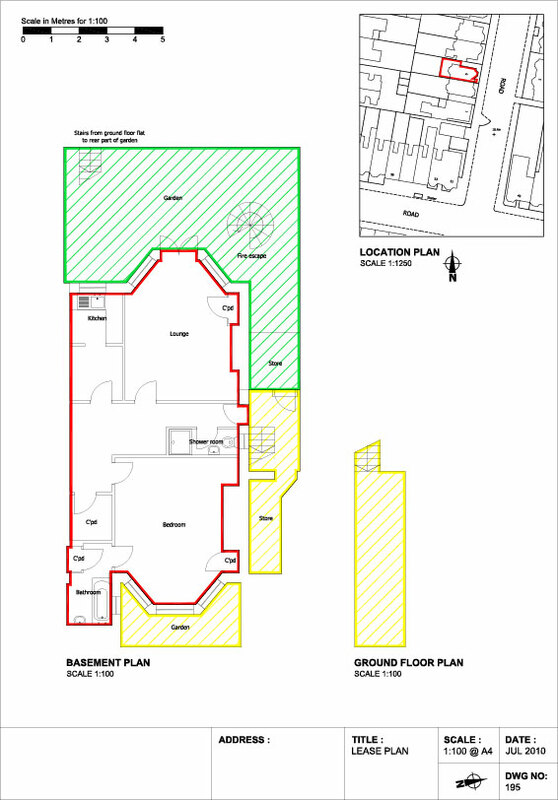 Older lease plans are often rejected because they are poorly drawn, not easily located or to a specific scale. Southern Lease Plans can often convert old lease plans to the current requirements without a site visit, if enough information is available. This requires redrawing the current plan in CAD and purchasing an OS location map. As this service requires no site visit it allows us to reduce our quote. If a site visit is necessary we will capture the information accurately using the latest Leica laser measures coupled with tablet computers using site specific CAD software. Draft plans can be returned by PDF within 24-48hrs of survey. Perfect, thank you so much! Is there anywhere I can endorse you, LinkedIn or otherwise?